No one likes a whiner! Finally, a children’s book to help parents cope with whining and complaining children. Peter is “a very small rabbit who did nothing but whine.” And, of course, no one wants to be around anyone who is always whining, so Peter is not a very popular rabbit. One day Peter’s mother warns him that if he cannot stop whining, he will have to go live with the Whimper-Whineys. And no one wants to do that! 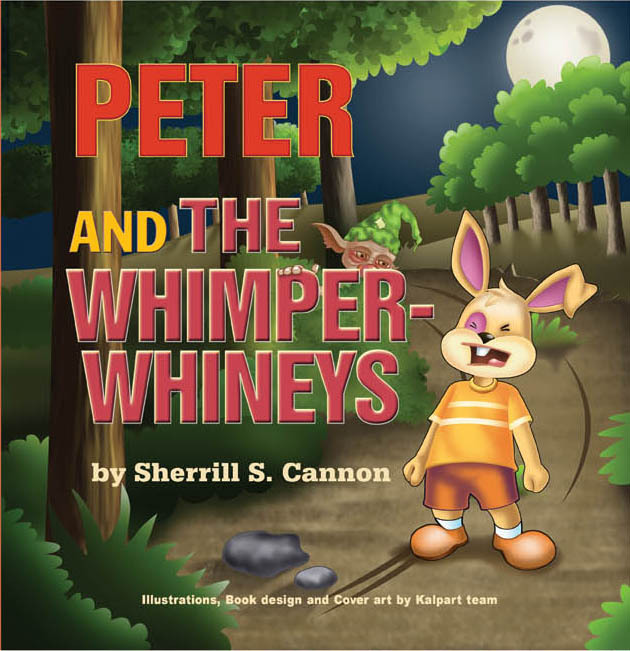 This fun rhymed children’s adventure follows Peter as he hops into the woods and finds himself amid a group of frightening Whimper-Whineymen! He discovers that the Whimper-Whineys are ill-mannered and rude, and that it’s not very pleasant in Whimper-Whineland. Will Peter learn to stop whining? This entry was posted in Uncategorized and tagged child behavior, children, Children's book, Childrens Books, crying, discipline, life lessons, rhyming, toddler book, Whining on April 21, 2010 by Sherrill S. Cannon.